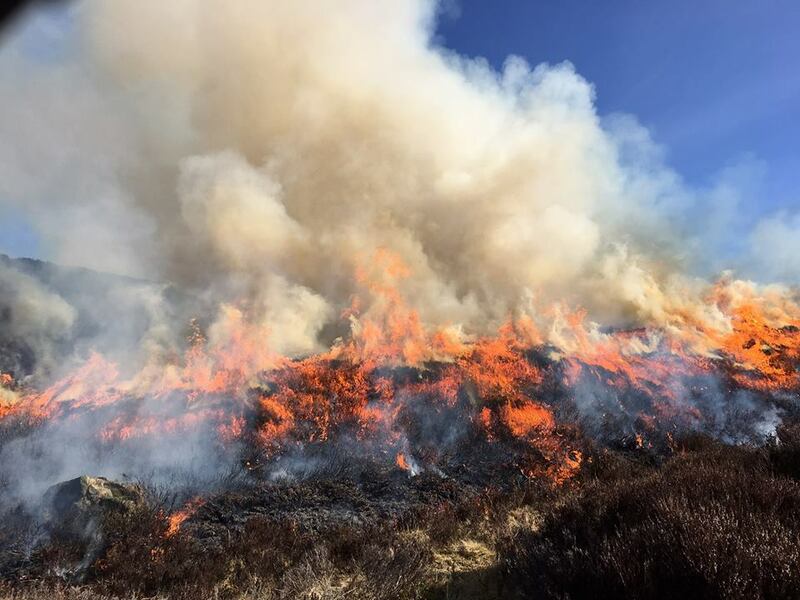 With the glorious weather that we have been experiencing over the past few weeks, the risk of wild fire is becoming increasingly likely. Following on from yesterday’s wildfires at Glen Lyon and Pitlochry, we would like to remind you that fire can spread very easily as shown in this image from Atholl Estates. Please take care when using camping stoves and remember that a ring of stones will not be enough to stop an open fire smouldering underneath them.